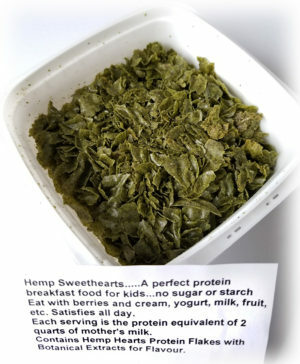 Hemp Hearts (TM) ( raw shelled hemp seed ) is one of nature’s perfect foods – a Super Food. 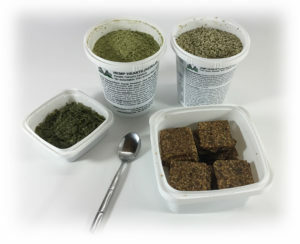 Raw hemp provides a broad spectrum of health benefits, including: weight loss, increased and sustained energy, rapid recovery from disease or injury, lowered cholesterol and blood pressure, reduced inflammation, improvement in circulation and immune system as well as natural blood sugar control. Results will vary by individual, but reports from thousands of our customers over the years, who take the minimum recommended dosage of 4 – 5 tablespoons per day, reveal that their experiences are consistent with clinical studies that relate to these issues. Many healthcare professionals are using Hemp Hearts(TM) (shelled hemp seeds) to achieve great results with their clients. They attribute their success to the superior balance of proteins, essential fats, vitamins and enzymes in Hemp Hearts(TM) (shelled hemp seeds) and to the relative absence of sugar, starches and saturated fats. Premature health failure may first appear as high blood pressure – a sign that the heart is over worked, required to force blood through too many miles of sluggish blood vessels. Clinical studies indicate that hemp products reduce inflammation and improve circulation, factors of primary importance in the cure and prevention of many diseases. A large percentage of our elderly customers have selected Hemp Hearts (TM) (shelled hemp seeds) in desperation because of failing health. Within three months they report significant improvements in cholesterol and blood pressure. Our customers report efficient digestive systems without sluggishness, able to derive much more benefit from much less food. Because Hemp Hearts(TM) (shelled hemp seeds) are so easily digested, our customers claim that Hemp Hearts (shelled hemp seeds) have cured or reduced the effects of chronic problems of the digestive system. 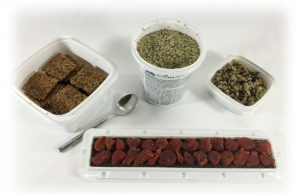 There are no known allergies to Hemp Hearts (TM) (shelled hemp seeds) and they are of special benefit to those who are unable to eat gluten, lactose, sugar, fish, nuts, meat and other common foods. Combined with high fibre grains, fruits and vegetables in the diet, expect regular bowel movements synchronized with the frequency of meals – a sign of a naturally health bowel. By taking Hemp Hearts (TM) (shelled hemp seeds) as directed, expect to be hunger free until mid-afternoon. Expect reduced cravings for foods with stimulants, sugars, starches and saturated fats. You can safely opt for food choices that are fruit, salads and vegetables knowing that with Hemp Hearts (TM) (shelled hemp seeds) you have already consumed all of the essential fats, proteins and most vitamins and other nutrients necessary for promoting good health. With less hunger you will less frequently desire starches and carbohydrates. Customers report losing up to one pound a day. 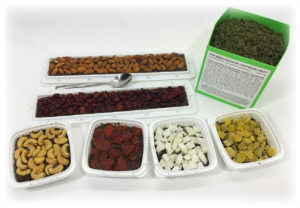 Many customers notice increased, long-lasting energy. One elderly lady reported that after her first use of Hemp Hearts (TM) (shelled hemp seeds) she cleaned her entire house – her first experience of abundant energy in 20 years. Another elderly lady, who previously found little to value in life, remarked that because of Hemp Hearts (TM) (shelled hemp seeds) she now often feels like dancing. Many comment that they are more productive, much more energetic and less affected by stress. Those who eat Hemp Hearts (TM) (shelled hemp seeds) every morning, unless they are obese, always experience sufficient energy that they have no need to “pep up” with sweet foods, soft drinks or stimulants. Premature health failure appear as high cholesterol – a sign that veins and arteries have lost their elasticity as a result of an imperfect diet. 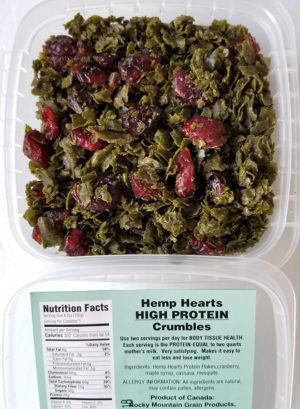 Hemp Hearts (TM) (shelled hemp seeds) are not only cholesterol free, but contain the optimum ratio of the polyunsaturated essential fatty acids, Omega 3 and 6 – hemp oil contains 57% linoleic (LA) and 19% linolenic (LNA) acids. When added to the diet, in a whole, natural and a cold processed food, like Hemp Hearts (TM) (shelled hemp seeds) improves cholesterol profiles. Hemp oil also contains some GLA (gamma-linolenic acid) that is absent from the fats we normally eat, but considered to be beneficial to health by nutritional experts. Premature health failure may also appear as Type II diabetes – a sign that relevant organs are no longer capable of processing the sweet and starchy foods that are too often consumed. The first steps in naturally balancing blood sugars is to introduce a high quality lean protein in your diet – the glucagon released when you eat protein helps keep insulin in check, then incorporate essential fatty acids, both found in Hemp Hearts (TM) (shelled hemp seeds). By avoiding refined carbohydrates – sugars and starches, in favour of high fibre vegetable and whole grain foods, our customers naturally control their blood sugar levels. Diabetics especially, report that circulation improves, often to the extent that they no longer fear losing their feet. Every cell in the human body needs a good balance of protein, essential fats, vitamins, minerals and enzymes—every morning. Those who feed their cells properly every morning have good tissue health and no late onset health problems. Those who eat at least 5 heaping tablespoons of Hemp Hearts(TM) (shelled hemp seeds) with raw vegetables for breakfast will always be amazed at the excellent health that results. First: For healthy digestive systems–everyone should avoid starches and processed foods as much as possible. The human digestive system needs a lot of roughage—raw, long fiber foods with coarse skins and membranes—so that natural contractions will move the foods being processed quickly and efficiently through our twenty foot long digestive systems. Cooked, ground, processed foods–especially starches–become pastes which are plastered on the walls of our digestive systems thus preventing the absorption of nutrients. The most recent food pastes are then forced to make worm holes through the older food pastes. Those who eat starches plug up occasionally, forcing their colons to expand to make passages around these obstructions. Surgeons often discover that obese starch-eaters have 50 pounds of 10 year old waste obstructing colons that have expanded in places to become up to ten inches in diameter. Colon hydro-therapists notice during treatments that starch and processed food eaters shed great quantities of solidified castings as they are dislodged with water from the walls of their digestive systems. Do not eat cereals, breads, potatoes, pastas, rice or ground foods. Those who eat Hemp Hearts(TM) (shelled hemp seeds) in quantity with roughage early every morning will go to the bathroom after every meal; their stools will be yellow like those of a baby because they have not been retained long; they will experience perfect digestive health. Those who add starches to this diet will sometimes experience watery stools as liquefied starches are swept through the system by faster moving Hemp Hearts(TM) (shelled hemp seeds) and roughage. 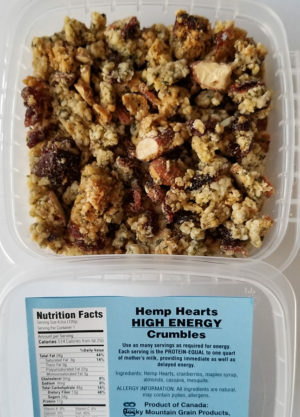 If you are determined to eat cereal with your Hemp Hearts(TM) (shelled hemp seeds) for breakfast, at least be certain that it is as unprocessed as possible and do not eat starch again that day or you may have watery stools. Second: For healthy tissues, weight control and youthful energetic behavior–everyone should avoid starches and processed foods as much as possible. Hunger is the mechanism by which the human body demands protein—our most important nutrient, by far. Those who attempt to satisfy hunger with low-protein starches will become hungry again before they have burned off the calories present in the starches. They will eventually become fat and diabetic or they will starve themselves of essentials, gradually losing the tissue elasticity that allows veins and arteries to expand and contract with each heartbeat–keeping passages clean. They will also lose the tissue elasticity necessary for healthy joint and organ function, thereafter suffering from inflammatory conditions. Poor circulation and failing joints will make them act and appear old and slow and will reduce mental capacity. Deteriorating blood vessels result in stroke, aneurism, heart disease and premature health failure. Starches and processed foods provide energy quickly, but soon leave the individual weak and hungry and looking for coffee or snack foods. Starch-eaters inevitably ride an energy roller coaster, but no amount of sugar and starch can provide the even flow of long-lasting energy necessary to resist stress and ensure success. 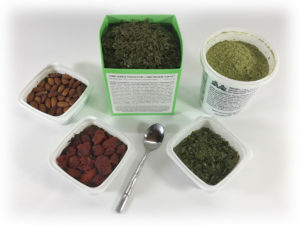 Third: Every cell in the human body needs to be supplied every morning with sufficient protein, essential fats, vitamins, minerals and enzymes for tissue health: The protein, essential fat and enzyme requirements are easily satisfied by Hemp Hearts(TM) (shelled hemp seeds). 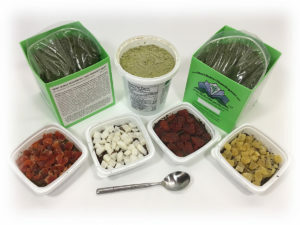 The vitamin, mineral and enzyme requirements are easily satisfied by Hemp Hearts(TM) (shelled hemp seeds) in conjunction with assorted vegetables. 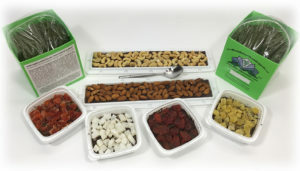 The long fiber food requirement is only satisfied effectively by raw vegetables, perhaps with the significant addition of raw fruit for those who are not diabetic. Those who avoid starches while supplying themselves every morning with all of the essential nutrients will have veins and arteries that expand and contract with each heartbeat keeping passages clean–resulting in low blood pressure, excellent circulation, improved body function and optimum mental capacity. They will not suffer from inflammatory conditions and will look much younger than their age. They will have abundant long lasting energy for good mental health and success . Fourth: Those who eat at least 5, perhaps 8, Heaping tablespoons of Hemp Hearts(TM) (shelled hemp seeds) early each morning with salads made with spinach, tomatoes, cucumbers, carrots, radishes, celery, ripe avocado, beans in the pod, alfalfa sprouts and bean sprouts—further flavored with cayenne pepper, garlic, lemon, lime and perhaps some yogurt—always experience profound health and energy benefits. More adventurous salad makers sometimes incorporate cabbage lettuce, kale, chives, watercress, endive, black radish, red beet, dandelion, sorrel, radish sprouts, soaked beans and chia sprouts. 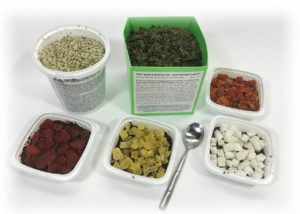 Those who are in perfect health can add sufficient fruit and protein foods and tea and alcohol to increase their enjoyment of the vegetables above—but should nevertheless avoid starches or they will have watery stools when the starches and processed foods are swept along by digested Hemp Hearts(TM) (shelled hemp seeds) and long fiber foods. Those who wish to lose weight should consume their large salad as early as possible in the morning, and eat only a few vegetables without dressing in the early evening–if they are really hungry. On days when they do not wish to lose weight, those who are perfectly healthy may eat meats and fish and fruit and occasionally deserts with their evening vegetables–but never starches.